The John and Joan Kember-Smith Award will be awarded for the first time at the Berkshire Archery Association AGM 28th January 2016 and annually thereafter. For decades, John and Joan Kember-Smith maintained a safe, nurturing and happy environment through archery, which bought people of all ages together and helped young people find themselves. In so doing, they inspired many others to follow in their footsteps to help others. This award is in memory to a dear couple who always put people first and is awarded to junior archers in Berkshire who show the same union, true heart and courtesy that would have made John and Joan proud. All junior archers in Berkshire up to and including 18 years of age are allegeable for this award; there will be two awards one for junior ladies and one for junior gents. Clubs can make as many nominations as they wish. Nominations to be made by club junior representatives or secretaries to the Berkshire Archery Association junior representative. 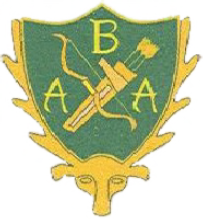 The decision as to the recipient of the awards will be made by a panel consisting of the Berkshire Archery Association Junior Representative and two other nominated persons to be changed each year. Secretaries and Junior Reps have been asked for nominations, for the award at the AGM. Presented by Buscot Park in 1999, the Mary Dolan Memorial Trophy, is awarded annually at the BAA AGM for Services to Archery at County, Regional or National level.